BirdSITE built for photobloggers and photographers. 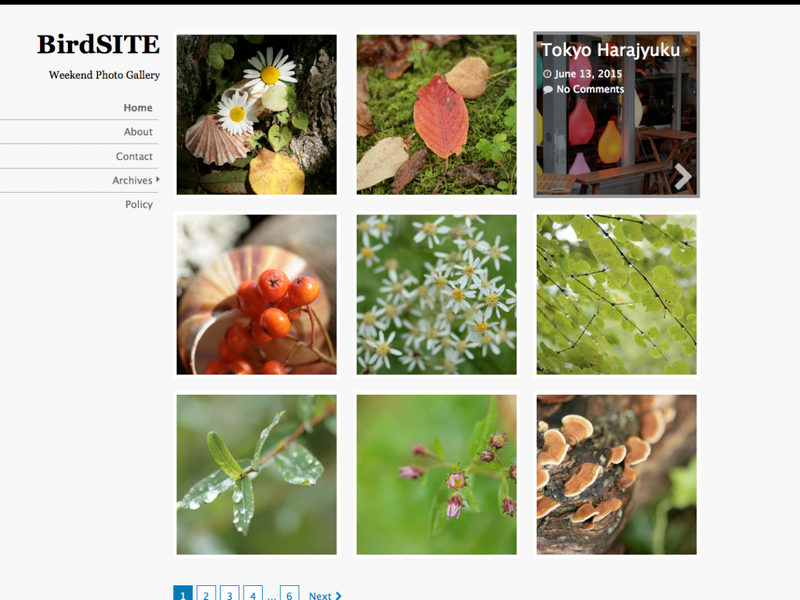 It has good appearance for photos by grid layout. and uses CSS3 media queries for its responsive layout and is therefore optimized for tablet pcs and smart phones. Features include the Theme Customize. You can choose the text color, link color, header line and footer background color and navigation color. The Theme has customizable footer. Display Postdate and Author, Category, Tags, Comment Number: set at Home section. Recommend Blog pages show at most 9 posts at Reading Settings. BirdSITE WordPress theme is licensed under the GPL. The headers and icon images are created by theme author and are released under GPL license. BirdSITE Copyright © 2003 - 2019 All Rights Reserved.